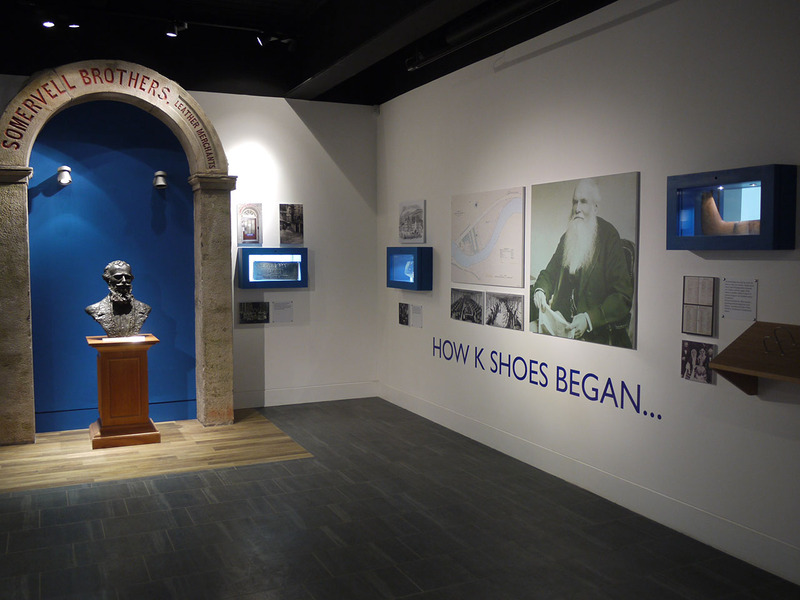 As part of a £50 million K Village mixed-use development in Kendal, the Practice was appointed to design a new Heritage and Exhibition Centre charting Kendal’s proud shoe making history, on the site of the original K Shoes factory. The new 2,000sq.ft. 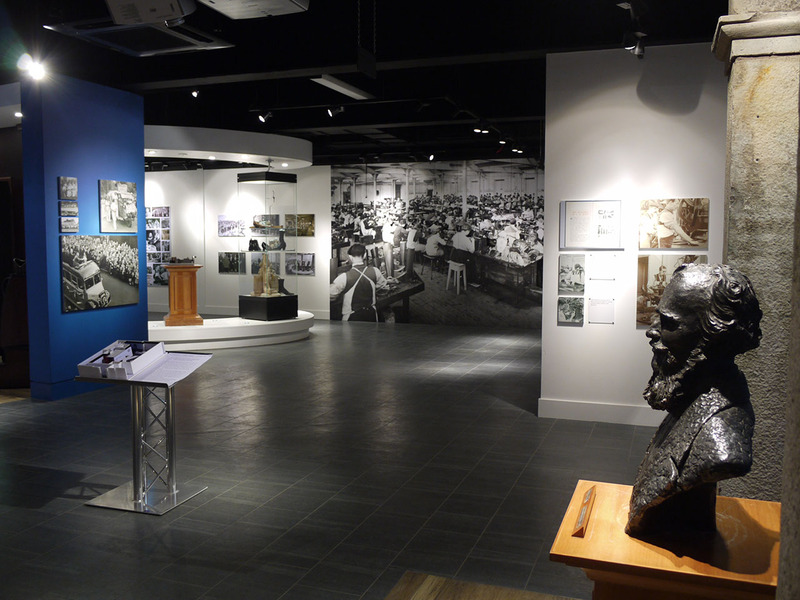 Heritage Centre includes a mixture of permanent and temporary displays as well as a small cinema space which is to be utilised for the internationally famed Kendal Mountain Film Festival. The Centre is partnered with local colleges as a practical base for courses including curating. A central feature ‘K’ extrusion and display allows visitors to navigate the space without reliance on signage. Openness and visibility through this has been incorporated to visually link all of the spaces. 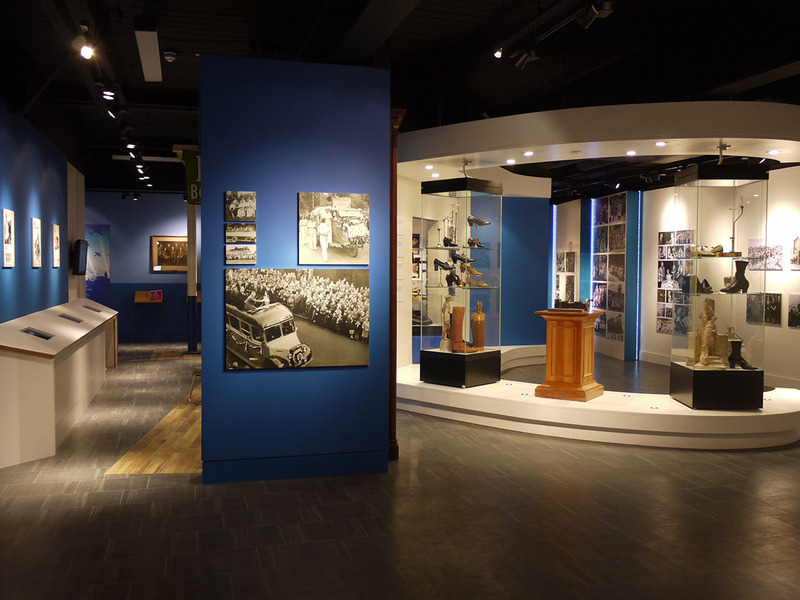 Feature displays are then housed in and around this unit, encompassing modern technologies in contrast to the historic manufacturing processes. Elements of the original building have been re-used within this contemporary setting. 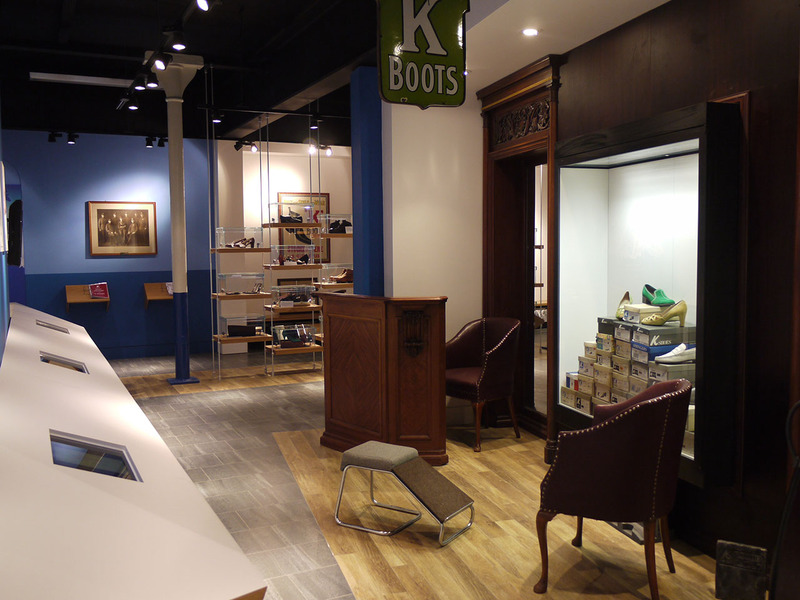 These include an original stone arch, cast iron columns and shop fittings, all of which act as markers of the history. Glass ‘shoe box’ wall display. Fire rated window display boxes providing visual link to adjoining corridor. K extrusion developed as forms and planes as an extension of a display area.